Looking for a Vacation Destination where you can have great entertainment 7 days a week, St. Peter's is the answer. St. Peter's Summer Sessions offers music every night of the week. 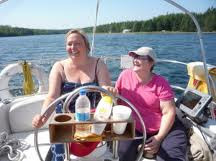 From Square dancing at the local Church Hall and traditional songs and tunes with Jay & Krista at the Bras d'Or Lakes Inn on Monday nights to a lively Jam Session at the MacBouch Restaurant and Lounge on Tuesdays. On Wednesday holes in store more Traditional Songs and Tunes at the Bras d'Or Lakes Inn. For entertainment of a different flair, take in the Round the Buoys Sailing Races, hosted by the MacAskill Yacht Club, where visitors can become part of the sailing crew at no charge I might add. Sound like fun? You bet it is!!! 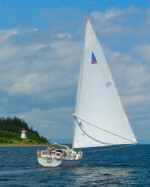 Just check in at the Captains meeting at St. Peter's Marina at 6pm and your all set to race. 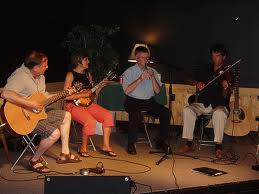 Thursdays, visitors can enjoy Supper Time Music while dining at the MacDonald Country Inn from 5-7:30pm, or take in a down home style Ceilidh from 7-9pm, followed by a Jam Session from 9-11pm at the Bras d’Or Lakes Inn. Friday more of the traditional Supper Time Music with great local talent at the MacDonald Country Inn from 5-7:30pm or stop off at the Bras d’Or Lakes Inn and take in the After Work Party from 5-7pm and later enjoy traditional Martime & Contemporary songs with a favourite local singer guitarist Jason Williams from 9-11pm. Visitors don’t have to be seniors to tap their toes and join in the fun at the Jam Session at the Bonnie Brae Seniors Club from 7-9pm. 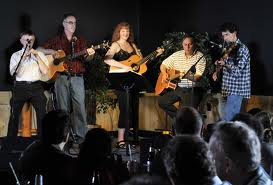 On Saturdays there is Supper Time Music at the MacDonald Country Inn from 5-7:30pm. Supper Time Music continues on Sunday evening at the MacDonald and Traditional Celtic Fiddle Tunes with Makayla MacNeil at the Bras d’Or Lakes Inn from 7-9pm. What a great line up! And that is not even taking in the festivals and community events where music is always a big part of the event throughout the summer. If you are looking for a great destination, where after a day of sight-seeing you can enjoy a relaxing evening of super entertainment St. Peter’s is where you will want to visit.